We don't usually announce DLC for music games, but in this case, we felt it newsworthy. 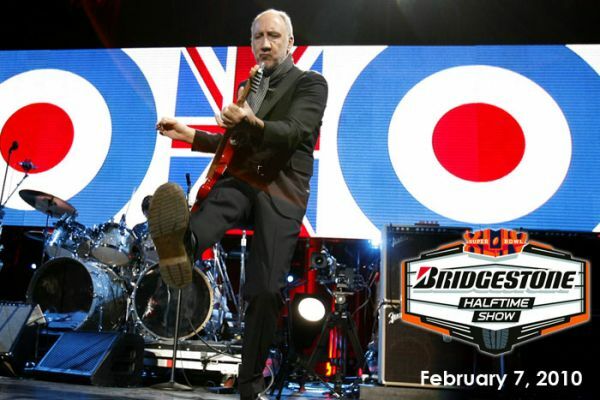 Legendary band The Who is playing the halftime show at the Super Bowl (which is touted as taking place in South Florida, not Miami, for some reason). Perhaps Pete will be smashing his guitar on stage as millions make a run for more chips, dip, and tasty beverages. The performance, which is under wraps at the moment, will be made available at the Rock Band Store immediately after the game. Typically, Rock Band DLC hits on Tuesday, but if you can't wait until then, feel free to put down the chili dog and grab your fake plastic instrument of choice right around the time all the confetti starts flying in the stadium. Rock Band 2 Set List - Confirmed! Page created in 0.4657 seconds.